the muscles and invigorates the body. The temperature of the SPA is regulated 34-35° the summer and 38-39° in spring, in autumn and winter. To enable us to assemble the SPA at good temperature, it should be held minimum 6 hours in advance. 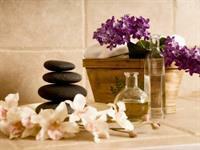 The use of the SPA is privative and costs 17€ for one hour.